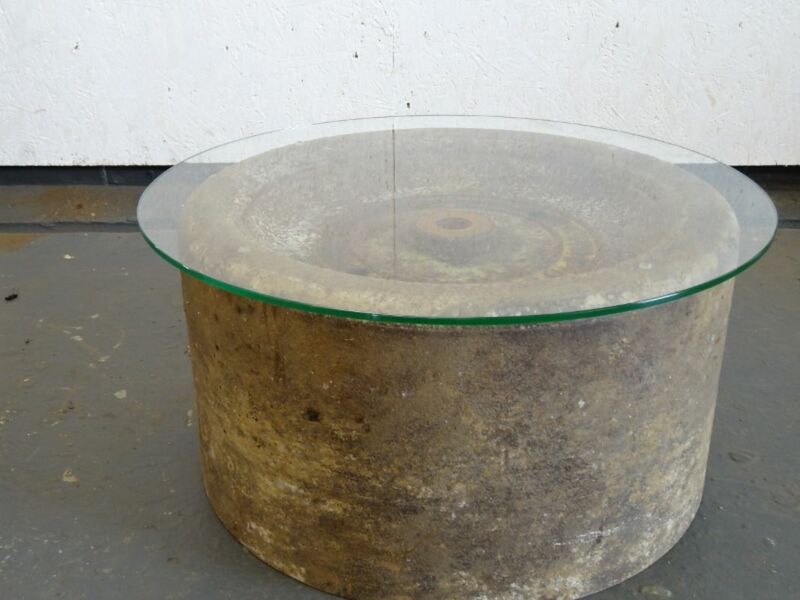 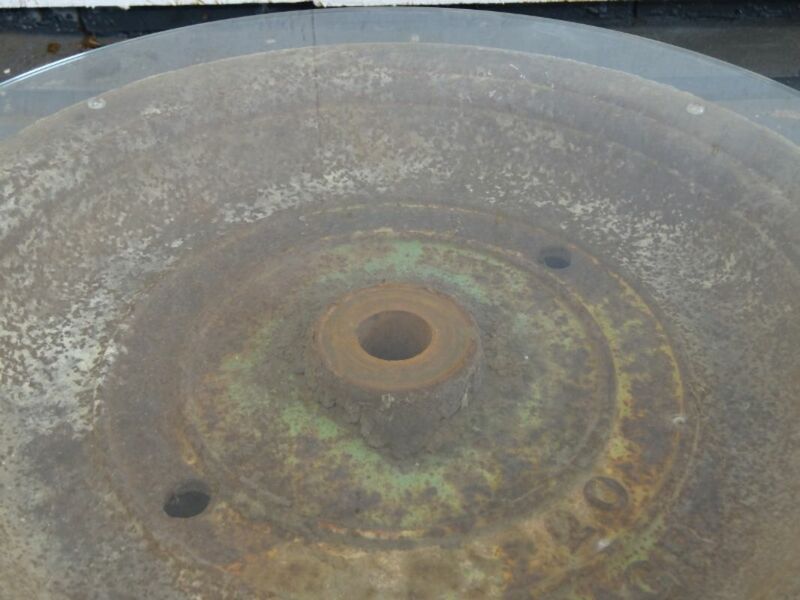 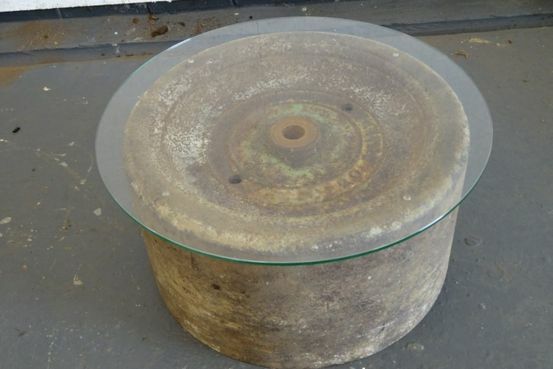 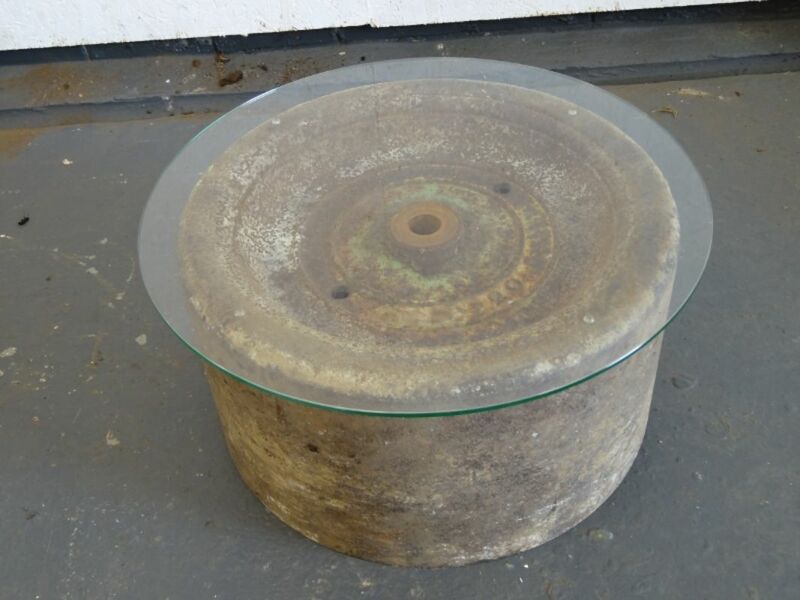 Iron and Glass ‘rolo’ Coffee Table made from ½ garden lawn roller topped with toughened glass. 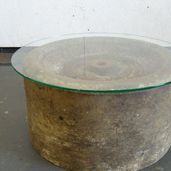 Could be used inside or outside. 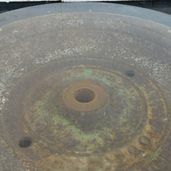 Top 22 ¼” (56 ½ cm) diameter, 11” (28cm) tall.